For all your corporate needs, hire-limo-midlands.co.uk is able to provide a professional limousine service. Whether your company is impressing or entertaining clients, has a special event such as product launch or just a good old fashioned office party a luxury limousine adds an air of prominence to the occasion. Hire-Limo-Midlands,.co.uk goes that extra mile to help make an impression at a public work event or to be pampered at a private office party, we do it in style!! We can cater for your every needs. 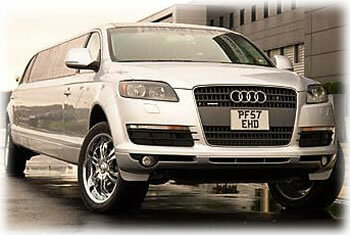 Hire-Limo-Midlands.co.uk are here to help make things easy and also extra special. We have access to a vast amount of different limousines from a standard Stretch Lincoln limousines, H2 Hummer limo hire, H3 Hummer Limo hire, Range rover limo hire, Porsche Cayenne limo hire, Ford excursion limo hire, Lincoln Navigator limo hire, BMW X5 Limousine hire, Jeep Expedition Limo hire, Party bus Limousine hire, Fire engine limo hire, Chrysler C300 Baby Bentley Limo hire and even the new Audi Q7 limousine hire. Hire-Limo-Midlands.co.uk limo hire corporate events, this page is entirely for you, It will give you ideas to make that day and night most memorable for you, your friends, family or colleagues.